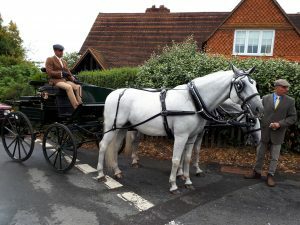 The Road Carriage Club’s 20th Anniversary Summer Drive took place on Sunday 12th August. 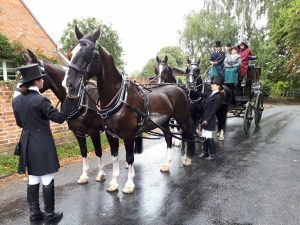 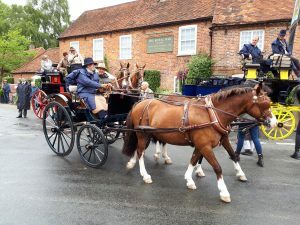 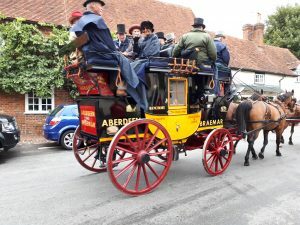 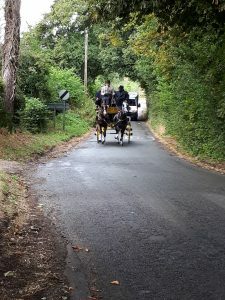 Despite the wet weather 18 carriages followed a 9 mile route, which started at the Yattendon Estate Forestry Yard, travelled through Burnt Hill, Stanford Dingley, Pangfield Farm, Bucklebury, Marlston Farm, past Frilsham Church, and finished back at the Royal Oak. 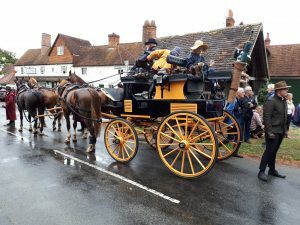 Crowds gathered in Yattendon village square to welcome the carriages as they stopped for refreshments at The Royal Oak. 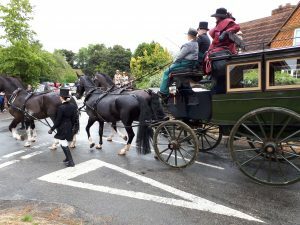 This gave the onlookers an opportunity to get up close to the horses and ornate carriages. 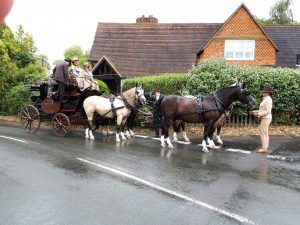 The photos show just some of the horses and carriages which took part.